You're child deserves nothing but the best when it comes to instructors. Our goal is to always provide students the best possible dance training. We make sure all our faculty at RDC are highly qualified in terms of not only their dance experience but their training as a teacher as well. Our instructors also take time to connect and guide both students and parents though their dance experience at Royal Dance Conservatory. We are happy to have such a dedicated, passionate, and talented team who are thrilled to pass on their knowledge to our dancers. ​Royal Dance Conservatory celebrates over 40 years of dance excellence in Winnipeg. Throughout that time there have only been two changes in ownership. The studio passes from owner to long time instructor to maintain a constant focus that emphasizes the ongoing relationship between staff and students as a family. Nicole Gornik is the newest owner at the dance studio of Royal Dance Conservatory. However, she is not new to RDC. Nicole began dancing at RDC at the age of 5 and has developed from student to instructor to director. A successful dance studio needs not only talent but effective management and administration. Nicole has known from an early age that she wanted and needed to put her imprint upon this studio. Owning, operating, and directing two dance studios requires a degree of business administration. Before moving to manager Nicole attended RRC in Business Administration. She graduated with Honours in the course and then took over RDC. Nicole not only manages RDC she is involved in every aspect of the curriculum and teaching. She has been trained in Ballet, Pointe, Jazz, Tap, Hip Hop, Lyrical, and Contemporary. Most recently she has completed all ten levels of the Acrobatic Arts Teacher Certification in Toronto. She is fully certified after completing her exams in Modules 1 and 2. Nicole as a student has travelled across North America performing and competing learning from world renowned choreographers such as Travis Wall and Mia Micheals. She has performed with the Great Russian Ballet in 2009 and 2011, placed second for her Pointe Solo in Dance World Cup (Montreal), performed in Disney World for Dance the World, and won highest point for her Ballet Solo at Ovation Dance Challenge (Fargo). Most recently she and her competitive team were placed as a Top Studio Finalist in Toronto at the Kick It Up Dance Competition. Nicole looks forward on bringing new life to the RDC dance studios. Be sure to watch what's on the horizon for Nicole Gornik and Royal Dance Conservatory. Tracy "Trigger Tray" Tomchuk has been dancing almost 20 years. She has covered a wide range of genres such as Ballet & Jazz with the Royal Winnipeg Ballet, African, Hip Hop, Breaking, Latin Ballroom, West Coast Swing and Belly Dancing. Tracy has been the lead choreographer for local Nigerian music artist Benjamin Tamana since 2014, and together they have opened up for international artists such as Iyanya, Davido and Rough & Smooth. Tomchuk has performed with talented and reputable organizations such as BOSS Dance Team, DARK Dance Company, and The Royal Winnipeg Ballet. Currently residing in the community of Winnipeg, Tomchuk continues to develop herself as an artist of many media. However, when it comes to dance - the primary artistic focus of 2015 & 2016 - her main concentration has been the study of Breaking, African Dance, and Hip Hop. Tomchuk volunteers her time to teach kids in the community through various organizations such a IRCOM, and recently started a new position at a local studio where she can spend even more of her time joyfully teaching and sharing dance culture. While she spends a lot of time training in Winnipeg on BOSS - built.on.self.success - Dance Team and at local studios, Tomchuk also frequently travels to Toronto. She has been privileged to learn from various talented and knowledgeable dancers in and outside the local community. Important figures such as Bob "Boobjester" Veruela Jr, Brandon “BizzyBoom” Adomako Owusu, Caroline “Lady C” Frazer, Esie Mensah, Eugene "GeNie" Baffoe, Lineen Doung and Marcelino “BBoy Frost Flow” DaCosta, are just a few to name as some of the individuals Tomchuk has trained under. 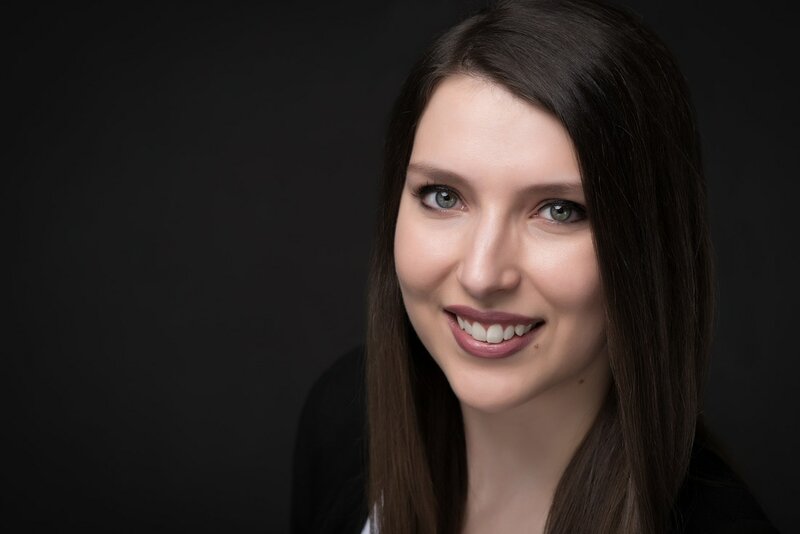 Elizabeth holds a Bachelor’s Degree in Education and obtained a Master's Degree in Education (Counselling/Psychology) from the University of Manitoba. Her thesis was on Peak Performance and Motivation, essentially studying the habits and goals of successful artists and athletes and learning from them. Liz has worked as a consultant to a number of major corporations on motivating employees in the workplace. Liz began dancing at the age of five at her godmother's studio, Kurtis Dance Studio. This studio was one of the first dance studios in the Osborne area. It gave her the opportunity to train in the disciplines of Ballet, Jazz, and Tap. Throughout the years Liz has attended numerous dance workshops throughout North America to hone her dance and instructor skills. She continues to dance and increase her knowledge by most recently attending Motyka Dance studio to indulge in her passion for Latin dance. With 50+ years of dance experience Liz helps develop the RDC dance curriculum and coaches dance instructors on how to teach and motivate students to achieve their personal best. Megan began dancing 17 years ago with her first dance class at Royal Dance Conservatory. Later continuing her dance education at LA Dance Academy she trained in Ballet, Pointe, Jazz, Contemporary, Lyrical, Tap and Hip Hop. She has performed at numerous events throughout her dance career such at the Santa Claus Parade, The PULSE Dance Convention, Canadian National Dance Championships and more. Megan has also traveled to California, Florida and Toronto to compete and learn from world renown choreographers such as Mia Micheals and Tyce Dioro. 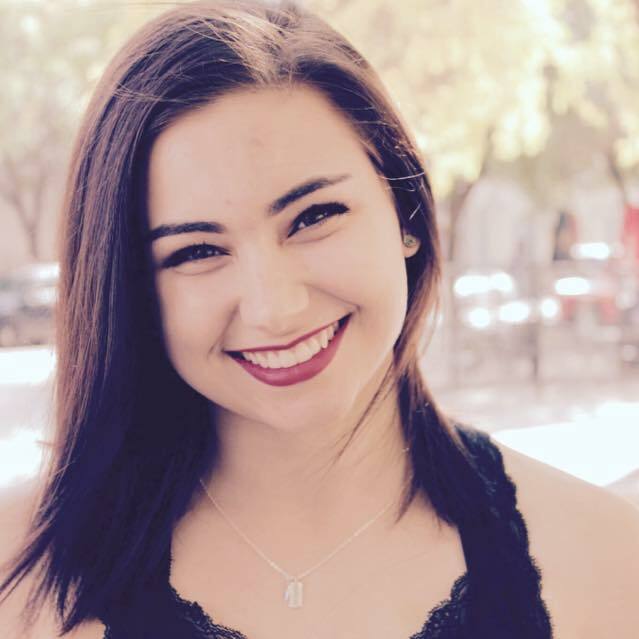 Megan started spreading her love of dance six years ago by assisting in local classes while apart of the Teacher Assistant Program at LA Dance Academy. Most recently she returned to RDC to join her sister, the new owner of the studio to continue to teach. As she looks forward to a career in child psychology, Megan will focus on teaching our younger dancers. While tying in her passion and experience you can expect nothing but fun and smiles from her classes. Everyone give Jenna a warm RDC welcome! Jenna is one of our new teachers this season and we’re sure you’ll love her. She has studied many variations of dance including Modern, Jazz and even Rhythmic Gymnastics! She has also completed her Intermediate Royal Academy Of Dance Exam. Jenna is currently enrolled in the Senior Professional Program at the School of Contemporary Dancers and apart of BOSS Dance Team. You may have seen her in last years The Artist Within production put on by BOSS Dance Team and Director GeNie Baoffe. Marli Sakiyama has been dancing since she was two and teaching since 18. She graduated with a Masters in City Planning and is currently at home with her two young children. She believes life is too short so it better be filled with dance! She completed her RAD graded examinations in her youth, but continues to expand her dance knowledge with training and classes. Along with teaching ballet, pointe and lyrical classes she has taught choreography for competitive students. Marli is excited to return to teaching ballet and pointe to the RDC ballet students. She can't wait to see what the year will bring! We are so excited about one of our new additions! Victoria grew up in Winnipeg and began dancing in High School with Sister’s Most Wanted. Once graduating she continued her dance education at The School of Contemporary Dancers and graduated the Senior Professional Program. Victoria has performed at numerous dance festivals including the Canadian Dance Festival and New Dance Horizons Dance Festival. She has also been involved in many past projects like Landscape Dancing with Stephanie Ballard, Mapiko with Nafro Dance, and A Prairie Christmas Celebration and Adventures in Music, both with Odette Heyn! Victoria is currently apart of BOSS Dance Team and now continues to share her love of dance with all of us at RDC. Aaron has been dancing since the age of 12, starting in Flin Flon, Manitoba. At the age of 15 he started his career by joining the professional division of the Royal Winnipeg Ballet. Following his time at the RWB he began to dance competitively. Over these next 10 years specializing in jazz, lyrical, and ballet. Aaron has won various speciality awards and scholarships across North America. He has since expanded into styles such as contemporary, salsa and bachata. Along with performing at a professional level, Aaron enjoys teaching his third year at RDC. After 7 years of dance, Marc has been able to travel across Canada and parts of the United States to attend dance conventions, workshops, and place in competitions. Some competition titles include: The Beatdown (Toronto), Artists Emerge (Edmonton), In The Zone (Winnipeg). Marc is currently a choreographer for the Project Dance Company and a biweekly dance instructor at Live Dance Centre. Not only is Marc able to build his hip hop dancers into intelligent learners but is also able to relate to young students, while being a young instructor. Being a young instructor is a huge benefit because there is always room to learn as time goes on. When Marc isn't in the role of a teacher, he takes the role of a student to gain more knowledge to offer to his students. Marc is about to enter his fourth year of training in the Senior Professional Program of the School of Contemporary Dancers. He anticipates to graduate with a B.A. Honours in Dance through the University of Winnipeg. He has been fortunate enough to dance in the ​Opening Gala of the Canadian Museum for Human Rights, Garden Parties for the Assiniboine Park Conservancy and the 50 Dancer Project: Timeframe for the Canada Dance Festival in Ottawa. Marc has also had the previlege of performing for Stephanie Ballard's Winnipeg Dance Preservation Initiative, Jolene Bailie's Gear Shifting Performance Works and Gaile Petursson-Hiley to name a few. Although the majority of his career he has been a performer Marc has also choreographed a contemporary piece for dancers for Losing Ties, A Watershed Awareness Gala. The same piece was also performed in the School of Contemporary Dancer's Public School Tours. Marc continues to grow as a choreographer and instructor and is thrilled to pass along his knowledge to the dancers at Royal Dance Conservatory. Maria began dancing at the age of 5. The intent was to enrol Maria in a program that would stop her from "jumping off the walls", as her mother puts it, however this proved futile as Maria began dancing off the walls instead. She quickly fell in love with the teachers, the music, and the freedom of movement. For 15 years Maria was highly active in the world of competitive dance as both a dancer, and an instructor/choreographer. She was a well rounded dancer, competing in everything from Jazz and Ballet, to Musical Theatre and Hip Hop. After years of competing at provincial, national, and international levels Maria moved to Calgary. Here she took on a summer position at Calaway Park as an entertainer, performing in stage shows and as a mascot throughout the park! Maria learnt a lot that summer and decided to make the move to Vancouver, BC to advance her skills. There, she danced with Harbour Dance Centre under the direction of Jenny Duffy, with a group collaborated to empower women in movement. After a few years of dancing with Endangered Dance Co., Maria moved to Australia to explore new styles. While in Australia she studied at Canberra Dance Theatre in the Australian Capitol Territory and had the privilege of teaching several workshops. She even found herself volunteering classes at a hostel in Thailand. Maria came home to Canada to further her performing arts education at the Vancouver Film School for Acting, all the while keeping up with her dance studies at Harbour Dance Centre, and performing in another female empowerment group, Self Made Crew under the direction of Adam McKinnon. It's been 24 years of exploration, and growth. Maria is now home, and ready to share what she has learnt and continue to grow with the talented artists in her hometown. We are pleased to have Hannah Murphy join us this season. Hannah has been dancing for the last 15 years and performing in many local exhibitions. In addition, she has travelled and competed across North America, learning from world renown choreographers, such as Mia Micheals and Tyce Dioro. Hannah started sharing her talents 5 years ago by assisting in local classes and then moving on to teaching her own programs. As she strongly identifies with her Hip Hop Crew, HopsKotch, Hannah has been focusing on teaching both Hip Hop & Jazz, but brings with her a strong background in Ballet. Hannah believes in foundations as she focuses on technique and combos then she starts to incorporate a routine. Solid basics are a must. Focusing on Hip Hop, Sharlyne brings with her an extensive resume of inspiring youth to dance in Winnipeg. To name a few, Sharlyne currently teaches with the WSO Sistema Program, and the Royal Winnipeg Ballet and has previously taught at such establishments as the Ziegfeld School of Dance & Magic n Motion to name a few. She has been honing her craft since 2005 with one of Winnipeg’s best dance crews, Sikat Dance Company. As apart of Sikat, Sharlyne has travelled across North America and in 2011, they placed 1st at World of Dance in Chicago, Illinois. Throughout Sharlyne’s training, she has learned from numerous dancers/choreographers from around the world and has brought her influences to Winnipeg in her own choreography that has been showcased in many local performances, local Hip Hop competitions, and Manitoba Dance Festival. Interested in teaching for us? We’re always on the lookout for passionate, energetic and experienced teachers to join our rock star faculty. We’d also love to hear from you why you’d like to join our inspiring team of teachers. We look forward to hearing from you!